When I think of the word “conference”, I usually picture a slightly depressing hotel ballroom, bad pantsuits and a lot of mediocre coffee. 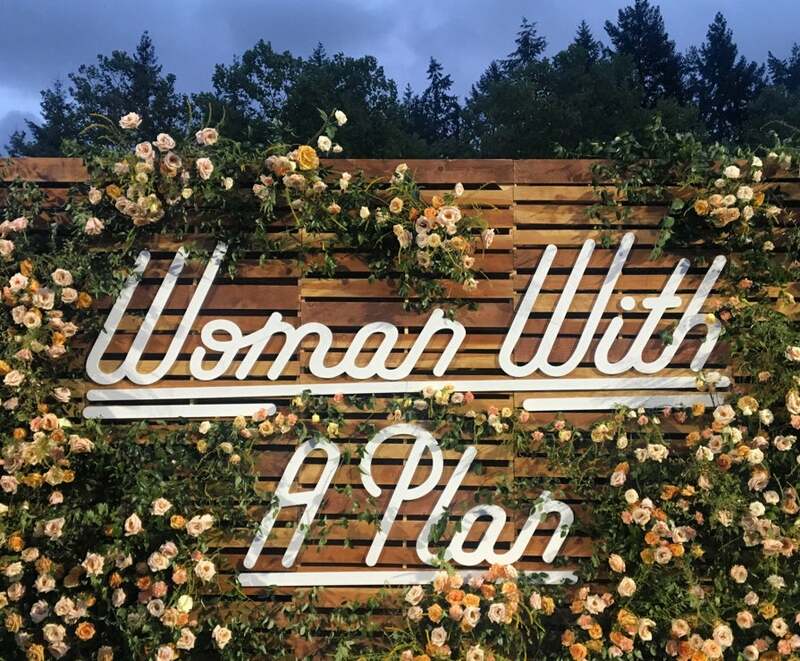 Which is the complete opposite of what I experienced when I stepped onto the Microsoft Campus for the Create & Cultivate conference in Seattle a couple weeks ago. Doughnut stations, cold brew coffee, yoga sessions, pop-up shops, and solid DJ jams were a few indications that it wasn’t going to be your typical conference. And, because it’s put on by a group of badass women who know a thing or two about good aesthetic, the Instagram-worthy moments were endless. Seriously. How could you NOT take a picture of this? But not literally, because that would be stalking. By follow your customers home, Heidi Gibson of GoDaddy means know what your target audience does after their point of interaction with your brand: what do they do when they go home? How do they use your product? What other products do they use in conjunction with yours? How does it make an impact on their life? All these answers can better shape your messaging, product development, partnership opportunities and overall marketing plan. Influencer marketing is so hot right now. And it’s more than just a buzzword - brands are starting to shift significant dollars in their marketing budgets to account for influencer programs. Patrice Croci, vice president of brand marketing at Express, said around 70 percent of their marketing budget now goes to digital/social/influencer programs. 70 percent! The beauty of influencers is that they have the power to amplify your brand message in an authentic way. As Brooke Brinkman, vice president of marketing and communications at Simon G. Jewelry put it, “You create the framework of the story, but [influencers] create the chapters.” But in order for that to work, influencers have to be a true brand fit. And sometimes larger numbers aren’t always better - Patrice also noted they are finding a bigger return on investment with mid-tier influencers (in the 10-20K range) when compared to celebrity or top-tier influencers. And speaking of ROI – the struggle to quantify influencer marketing programs is real, and no one has a perfect answer for it. What panelists recommended is using data (i.e. trackable links, engagement rates, coupons, etc.) wherever possible to point back to transactions and make a case for influencer programs. Influencer marketing is an evolved version of word of mouth, and there’s no denying its power to persuade. One of my favorite speakers, Ellen Bennett, the founder of Hedley & Bennett, preached the importance of listening to your customers. Hedley & Bennett started in Ellen’s garage on $300 and a crazy idea: to create high- quality kitchen garments that look and feel amazing. And it all started by listening to the complaints of chefs who found aprons uncomfortable. Her small startup grew to a hugely successful company, with some impressive clientele (think Martha Stewart, Mario Batali, Richard Blais). She still actively checks in with her fan-base for feedback, and counts her personal Instagram account – and specifically Instagram Stories – as one of the best ways to test new products and get an initial gut check from fans. By sharing short videos of initial product sketches and asking fans to share their thoughts, Ellen gets a mini focus group at no cost and relatively little risk. Smart, huh? 78% of successful CEOs are on social channels as themselves, which not only gives a face to the brand, but also allows for more opportunities for feedback. Every conversation you have about your brand can, and should, be a focus group. If there’s one thing almost all the ladies had in common, it was that their long and windy road to success rarely came without failure. And a lot of it. But, as The Mine President Michelle Newbery pointed out, “we have to fail fast and we have to fail forward because it keeps us moving”. Learn from mistakes, shift strategies and don’t make the same ones again. Amongst all the inspiration there were a few gloomy stats, including this doozy: only 4% of women startups get VC funding. It’s 2017, people! The hustle is still hard for women in the workplace, but if we all work together and value collaboration over competition, we stand to learn a lot from one another. C&C Founder Jaclyn Johnson says she’s an avid believer in the Shine Theory, which basically comes down to, “if you shine, I shine” – because a rising tide lifts all boats, you know? So go out there and do the damn thing, boss ladies. And if you’re a boss dude, empower your female staff, co-workers, wives, sisters and daughters to have a seat at the table, collaborate and create magic together. Because in the end, the work will be better for it.